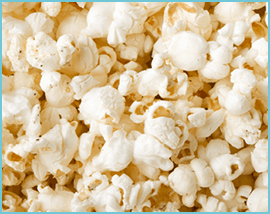 The Fun & Easy Way To Make Perfect Popcorn Every Time! Old-Fashioned Popcorn Taste Your Whole Family Will Love! GET A 2nd Bowl FREE! The Irresistible Snack You Love Is Now Better For You! 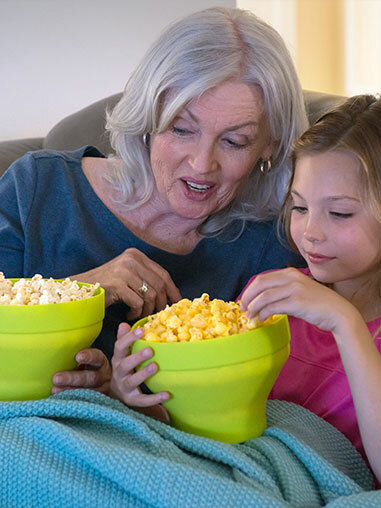 Everyone loves a bowl of hot, fresh popcorn, but expensive microwave bags & messy stovetop poppers add oil & artificial flavors, burn easily & leave unpopped kernels behind! 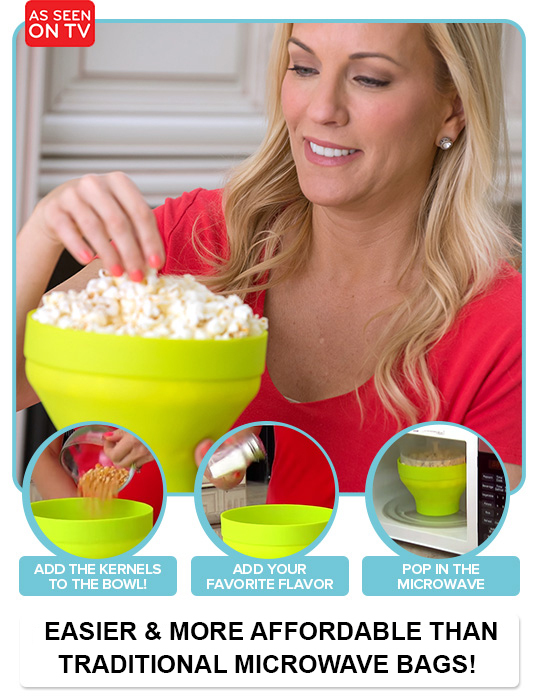 Now there’s finally a way to get perfectly popped popcorn anytime you want! FlavorQuik’s unique shape circulates steam heat to give you a delicious snack in just minutes without added fats or oils. Healthy & delicious has never been so simple! Create Your Own Unique Flavour Combination! 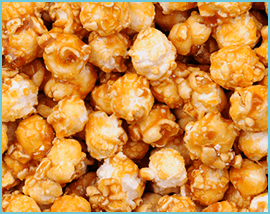 Make flavour-filled caramel popcorn for a sweet & salty treat! Add salt & vinegar for a tangy snack attack that's guaranteed to please! Turn up the flavour on movie night with butter or cheddar cheese! A Snacking Sensation in 3 Simple Steps! Easy To Use! 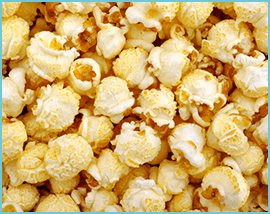 Just put kernels in bowl, add your favorite flavours, & POP in the microwave for a tasty snack in minutes! Healthy & Fun! Steam-popping without artificial flavours means healthier snacking for the whole family. Saves You Money! 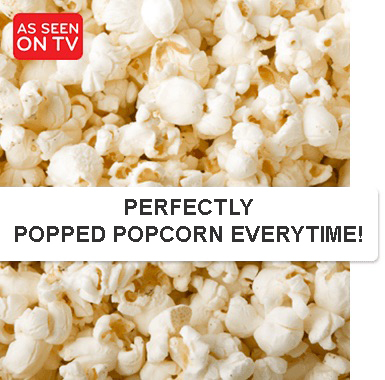 Just one $5 jar of kernels in FlavorQuik pops OVER 13 delicious bowls! Fast Clean-Up! 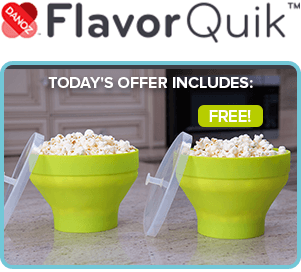 Pop & serve in the same bowl, then simply stick FlavorQuik in your dishwasher to clean! More Than Just Popcorn! 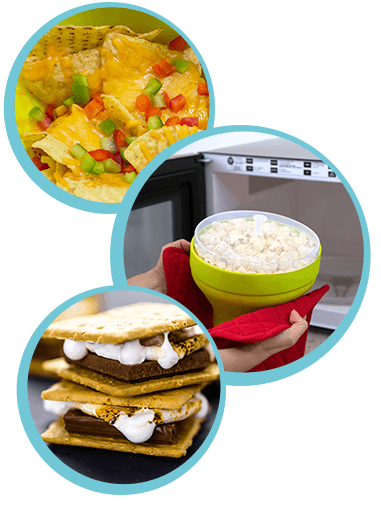 Add tortillas & cheese to get easy Nachos Supreme, or melt marshmallows & chocolate on crackers for yummy S’mores! The POPabilities Are Endless with FlavorQuik!